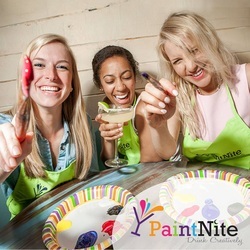 Paint Nite is currently on hiatus, but stop in to play, or for our 21+ weekend hours after 9pm! 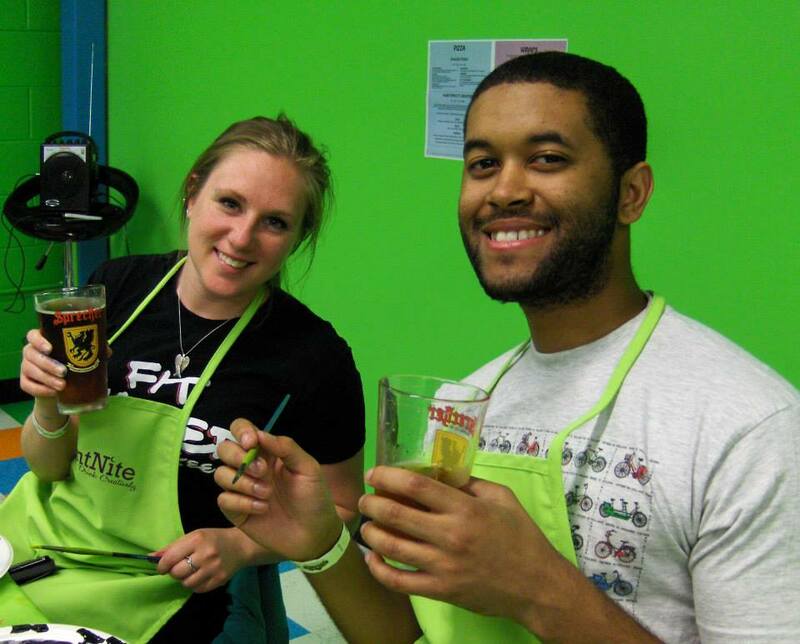 Bounce Milwaukee is now the city's first kid-friendly Paint Nite! 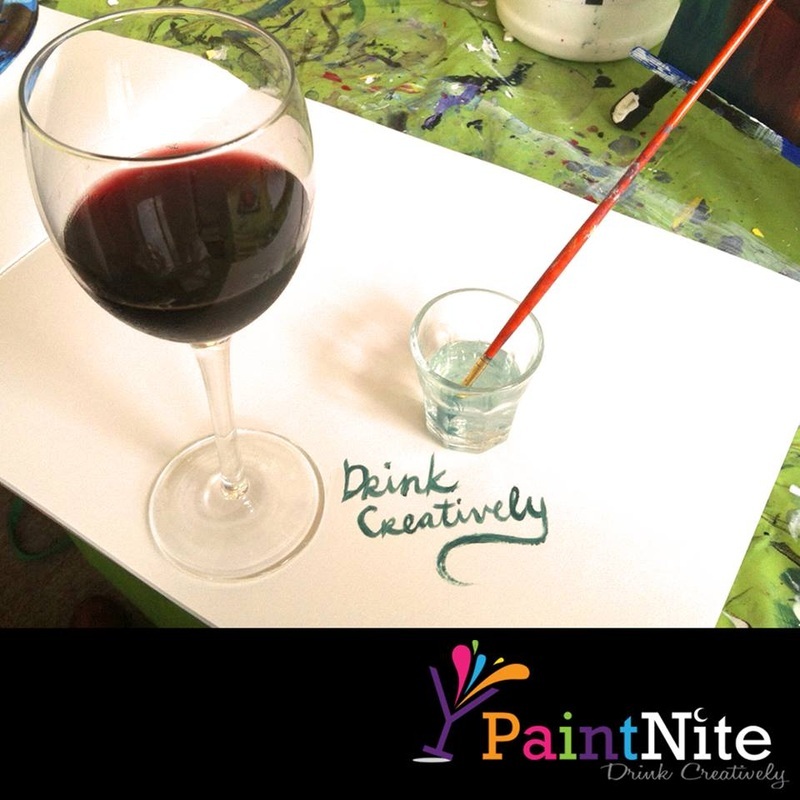 Meet your friends, have a carafe of wine and some pizza, and create a masterpiece on canvas to bring home. 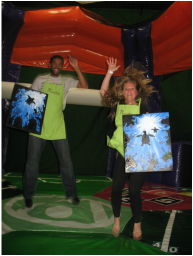 On Wednesdays from 6-8pm, your kids (or partner) can play while you're painting, too! 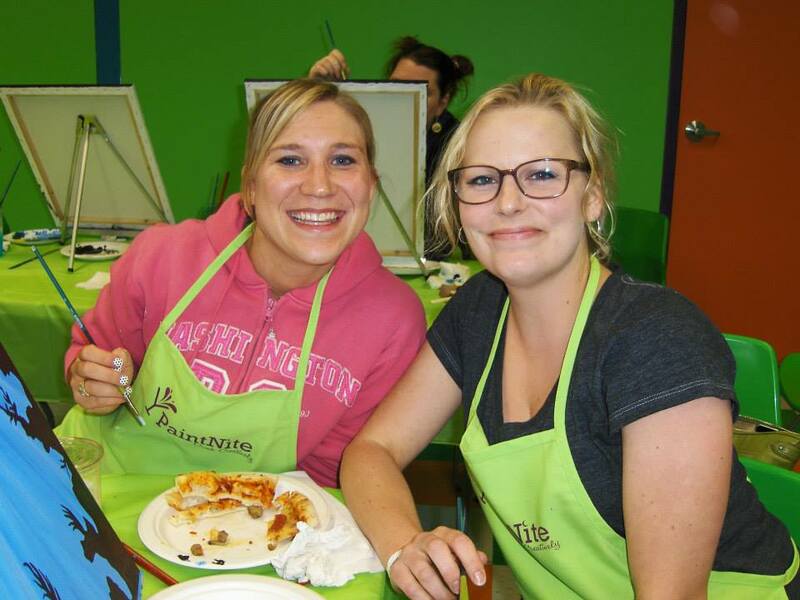 Paint Nite provides the low-pressure art instruction, all the materials (including your paint and canvas), and cleans everything up. You get to focus on your friends and art! You can head to Paint Nite's website to get more details or purchase tickets in advance, though there just happens to be a Groupon deal which makes your price only $25! So we'd be heading there first and searching for "Paint Nite". Oh, and we've got specials on wine, too! There's a limited number of seats each week, so be sure to purchase in advance. If you're coming with a large group (more than six) give us a heads up, and we'll be sure to set aside a larger table for you. See you soon!